No clear trend could be distinguished on the oil markets this afternoon, Brent testing down the symbolic level of $ 110 when the WTI remained stable. To 1:20 p.m., the contract on Brent North Sea available in April yielded 0.2% to 110.8 dollars and U.S. WTI same maturity clawing unlike 0.3% to 90.7 million. New rare oil on the forehead. This morning, when publishing its monthly magazine, OPEC left unchanged the forecast of oil demand in 2013, she was relieved of 45,000 barrels / day last month. The oil cartel is headquartered in Vienna still expects global demand for black gold of 89.6 million barrels / day this year, sales increased by 1% compared to 2012 (88.8 million barrels / day). According to Commerzbank, the cause of the current decline in the price of Brent is looking to the side of the speculators, according to figures released yesterday by the ICE (Intercontinental Exchange, electronic market place where trading mainly raw materials, ed), the net long speculative positions decreased by 24,000 contracts last week to 125,418 units during the week of March 5. This is the lowest level in ten weeks, 'said the speaker. These types of position reflect the appetite of investors bullish (long) on oil contracts. 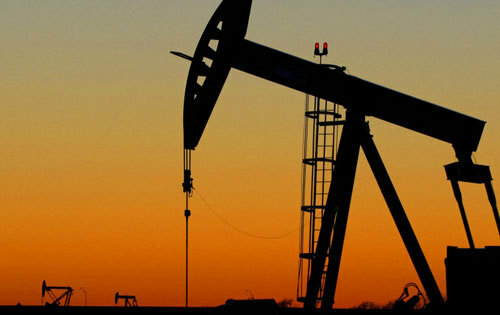 The progression of WTI, which is close to its highest level in 15 days, could be countered by the expectations of the state of stocks of crude oil and refined products including the Energy Information Agency (EIA) will report on Wednesday. The consensus expects a further rise in oil inventories, which would be the eighth in a row while refinery utilization rate was down seasonally. Commercial stocks of U.S. crude were, according to the latest publication, historically high level of 381.35 million barrels. For more updates and information, get touch with Lubrita.com - Manufacturers of Industrial and Automotive Lubricants News Source: CercleFinance.